Whether you’re a long-time resident of the City of Angels or just visiting for the weekend, start here for tips on how to enjoy yourself around town without breaking into the savings account. 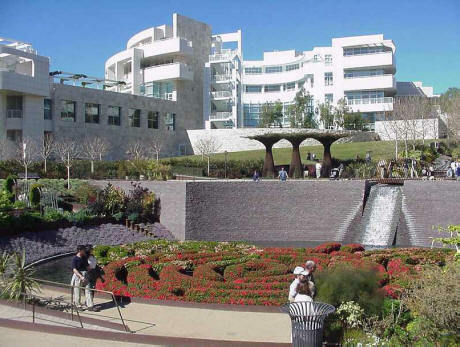 Location: 1200 Getty Center Drive in Los Angeles, California, approximately 12 miles northwest of downtown Los Angeles. The Photographs of Hiroshi Hamaya and Kansuke Yamamoto”, which explore an alternate view of 20th century Japan. The permanent collection includes work by Claude Monet, William Blake, Rembrandt as well as drawings, manuscripts, sculptures and paintings spanning 4 centuries. During the summer season the Getty is open until 9pm with film screenings, music and food. This is the perfect spot to take a camera, a picnic lunch and enjoy art, L.A. style. On June 13, the Harold M. Williams Auditorium at the Getty Center will be screening Franco Rossi’s 1962 black and white film, Smog. A look into the mundane and yet gritty every day happenings of an Italian lawyer in between flights at LAX. With a superb jazz soundtrack, this L.A. retrospective will make audiences fall in love with the city all over again. Coming up on June 15 is Robert DeLong, an electronic music maker whose tunes will bounce in your head and off the surrounding mountains to make a perfect ending to a relaxing day wandering the Getty.